While I have no doubt that there’s a degree of sensationalism to the way the newspaper describes it, and while I have no idea of what all is going on with the person trying unsuccessfully to take the course — apart from the article stating that the “student … Moray Watson, is an accountant who says he is an opponent of Islamic extremism and enrolled in the course partly to test the prerequisite in the syllabus” — what do you think…? Is this a case of Islamic extremism, as insinuated? Or does the issue get a little more complicated when you consider that, in Canada (as in many other liberal democracies), there is no constitutionally-mandated “separation of Church and State,” as taken for granted in the U.S., and thus public universities all over the country have theological colleges on their campuses, training ministers for service in a variety of Christian denominations. Whether public funding ought to support religious education of any sort is, of course, an important debate to have — and I mean not just education about religion but an education that prepares you to be a religious functionary. And mistaking a course like the one described above for what we do in the academic study of religion seems to me a tremendous error. of pretty far-ranging consequence. But given that support to prepare Christians for ministry is already normalized in the public university system there, then what sort of argument would you have to concoct to prevent others from having this same access and these same benefits? 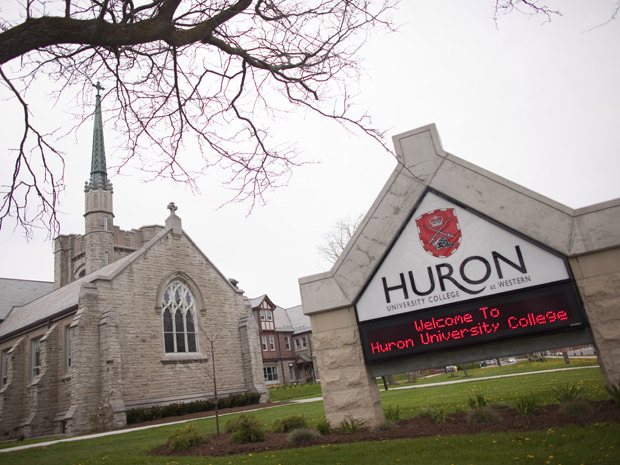 This entry was posted in Faculty Blog, Religion in Culture and tagged Academic Study of Religion, Christianity, Church/State, Huron College, Islam, Ministry, Preaching, Theological College, Theology by Russell McCutcheon. Bookmark the permalink. It would seem to be a public relations or even poli sci course rather than one in either religious studies or theology.